THURSDAY, March 16, 2017 (HealthDay News) -- Doctors who limit the supply of opioids they prescribe to three days or less may help patients avoid the dangers of dependence and addiction, a new study suggests. Among patients without cancer, a single day's supply of a narcotic painkiller can result in 6 percent of patients being on an opioid a year later, the researchers said. "Awareness among prescribers, pharmacists and persons managing pharmacy benefits that authorization of a second opioid prescription doubles the risk for opioid use one year later might deter overprescribing of opioids," said senior researcher Martin Bradley. He is from the division of pharmaceutical evaluation and policy at the University of Arkansas for Medical Sciences. "The chances of long-term opioid use, use that lasts one year or more, start increasing with each additional day supplied, starting after the third day, and increase substantially after someone is prescribed five or more days, and especially after someone is prescribed one month of opioid therapy," Bradley said. "Discussions with patients about the long-term use of opioids to manage pain should occur early in the opioid-prescribing process," he said. 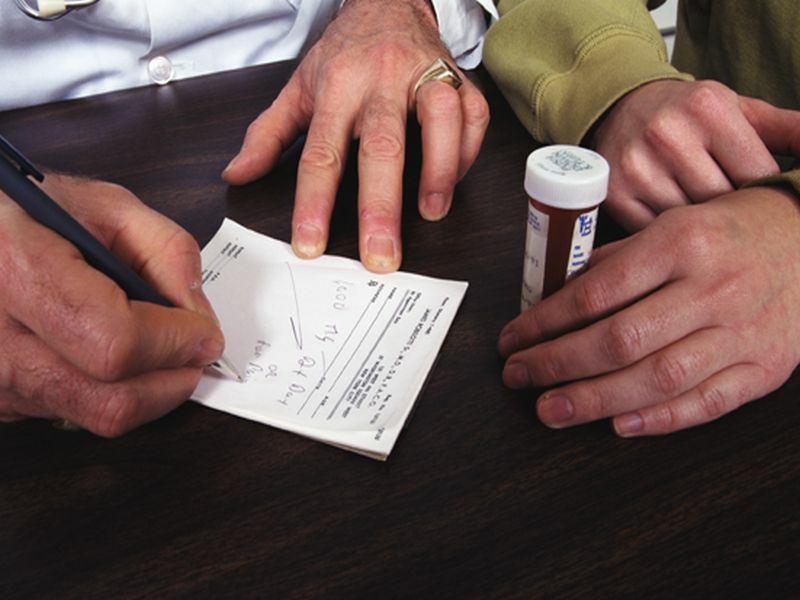 "Prescribers should be cautious about what they prescribe, and they should educate patients that if they are going to prescribe opioids, there is a likelihood that patients will have an opioid dependence," said Dr. Scott Krakower. He is assistant unit chief of psychiatry at Zucker Hillside Hospital, in Glen Oaks, N.Y.
"No one planned to get hooked on tramadol, but it has some dependent properties," Krakower noted. He believes that patients who need a narcotic should be given one. "The problem is that so many patients were prescribed opioids, and the odds of becoming dependent are very high," Krakower said. "If your doctor is going to prescribe an opioid, be educated about what it can potentially do," Krakower said. The report was published March 17 in the U.S. Centers for Disease Control and Prevention's Morbidity and Mortality Weekly Report. Prescriptions for opioids have nearly quadrupled since 1999 even though there's been no overall change in Americans' reported pain levels, according to the CDC.